Earlier this week, I wrote a couple of articles (here and here) about the future of interactions. But I want to explore this a bit further. The 'future concepts'Â that many are working on are missing one critical element of how and why we interact. One example is when the New York Times, presented their interactive mirror. With it, you can check the weather, read the news, and do other cool things - while brushing your teeth. The concepts within the mirror are very impressive. But the interactive mirror itself is based upon a world where the computer is stationary. In the past, computers were something you placed on a desk, something you had to go to. This proved to be a problem, because that meant you could not interact from your bathroom, your living room, your bedroom or the kitchen. 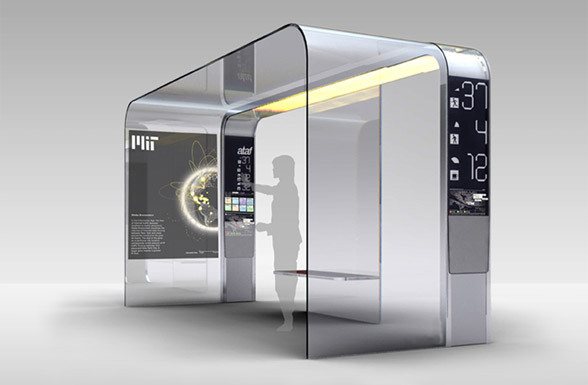 Over the past 10 years, many companies, futurists, and researchers have been conceptualizing the 'smart home'Â. In it they try to solve this problem by placing a computer in every room. 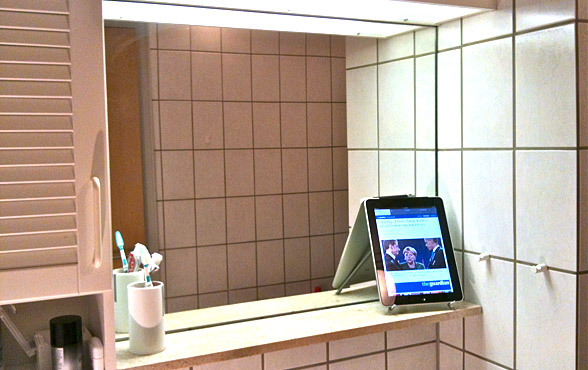 In your bathroom, you will have an interactive mirror where you can read the latest news, check emails or post to Facebook. In your kitchen, you will have an interactive refrigerator so that you can watch TV or look at digital recipes while cooking. In your living room, you will have a Microsoft Surface, so that you could go online from your coffee table. And the concept is even extended to the outside world. You will have a computer in your car, and even the bus stop would be interactive - allowing you to browse the web while waiting. The concepts behind all these 'smart appliances'Â are very interesting. But you have to *go to them*. You have to go to your refrigerator to use it. But what if I want to decide what to eat later tonight, while I am waiting for a meeting to start? I can't just go home to my refrigerator. As you can see, I also have a 'Magic Mirror'Â. On it, I can read the New York Times and any other newspaper. I can update Twitter or Facebook, watch the BBC, play a game of Angry Birds, check the weather, talk with someone on Skype, and about billion other things. I already have all the things the 'future concepts'Â talk about. And not only that, but my 'magic mirror'Â comes with access to 60,000+ apps. And here the amazing part. When I'm done brushing my teeth, I can take it with me into the kitchen, where I can continue to read the news while making breakfast. When I'm done doing that, I can take it with me to one of my 'secret writing spots'Â where I like to write my books and articles. 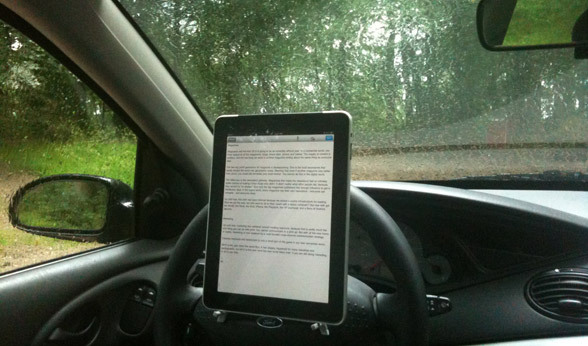 Note: There is nothing more relaxing (and productive) than to write an article in the middle of a forest on a rainy day! The world in which we need to put a 'computer in every room'Â is a relic from the past where the computer was a stationary object that was impractical to bring with us. We have solved that problem with our smartphones and tablets. That is our magic mirror. We are now living future. But the concepts are brilliant. Take the interactive refrigerator in the video above. I want to be able to see what food I have in my home, and when it expires. I want to be able to see what kind of recipes that matches my current stock. That's brilliant! But I don't want it to be on my stationary refrigerator. I want to look up my list of food, so that I know what I need to buy *before* I go home. I want to be able to plan my evening meal from my couch. More to the point. I want to be able to track all my food, not just the things inside my refrigerator. And I want to be able to track all the other household products that I need to shop for too. And I want to be able to do that from whatever device I happen to be using right now. Also, I love the idea that I can see where the bus is at the bus stop using GPS tracking on an interactive display. But I want that display to be on my phone. If the bus is 15 minutes late, I want to know that *before* I go to the bus stop. My 'magic mirror'Â is a tablet and a smartphone. That is the future of the 'smart home'Â and the 'connected life'Â. Don't get me wrong, I love it when companies like the New York Times experiment with new ways to interact. But they need to stop thinking of 'computers'Â as stationary object. Mobile is the new future - even inside our homes.